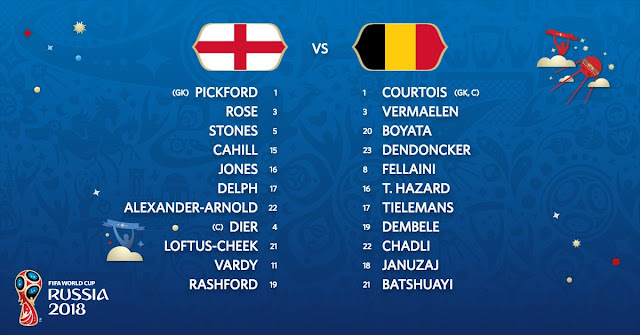 The three lions of England will face the Red Devils of Belgium today as both teams play for glory at Russia 2018 World Cup, or should we say play for who is going to top Group G.
Despite naming a fringe eleven, resting their star players, England and Belgium will try to cancel out each other. They are both through to the next round, whoever wins tonight will face Colombia in the next round while the loser will play Japan. England XI vs Belgium: Pickford, Alexander-Arnold, Jones, Stones, Cahill, Rose, Dier, Delph, Loftus-Cheek, Vardy, Rashford. 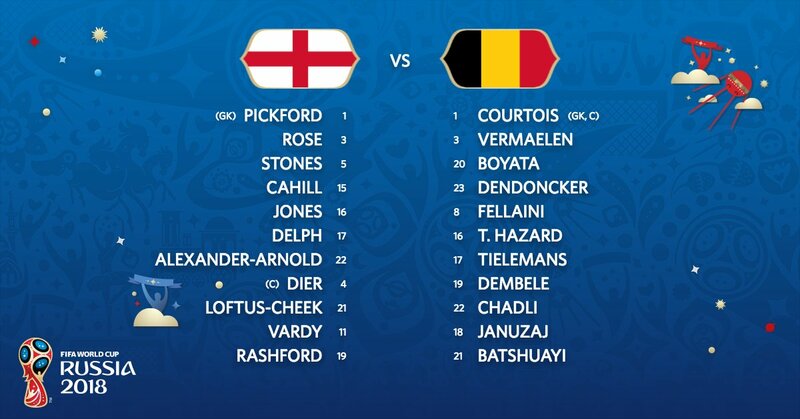 Belgium XI vs England: Courtois, Dendoncker, Boyata, Vermaelen, Chadli, Dembele, Fellaini, Tielemans, T. Hazard, Januzaj, Batshuayi.